Boker Magnum Jewel Rosewood Lockback Pocket Knife | BUDK.com - Knives & Swords At The Lowest Prices! Enjoy a breath of refined elegance in your pocket knife with the Boker Magnum Jewel. This handsome pocket knife features a mirror polished 440 stainless steel blade with a thumb nick and sharp edge. 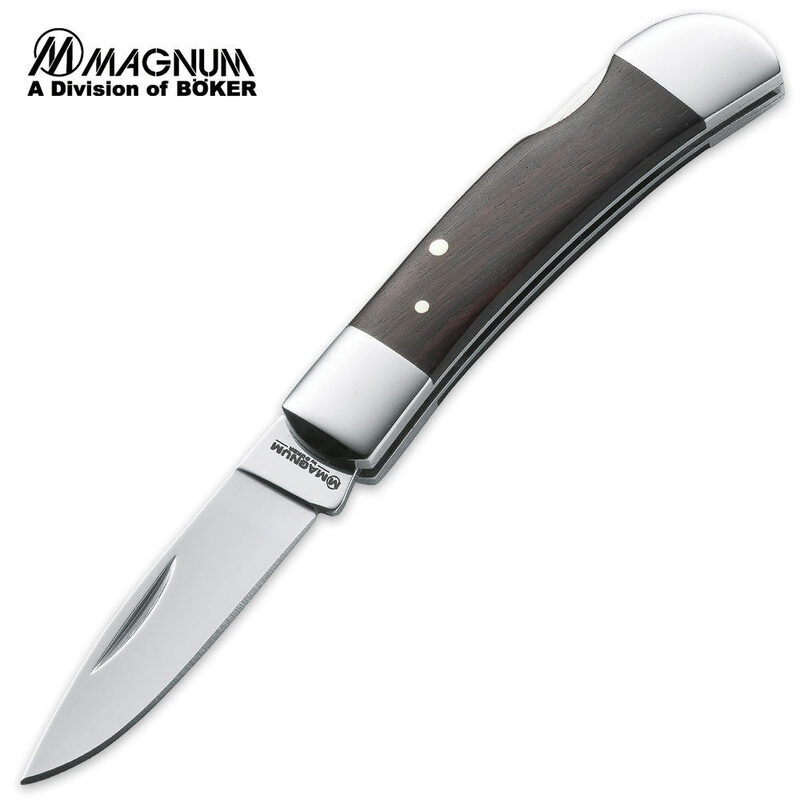 The handsome rosewood handle is accented by gleaming steel bolsters, and a sturdy lockback mechanism locks the blade firmly into the open position. The Boker Magnum Jewel is an excellent choice for an everyday carry if you're looking for a traditional pocket knife with a modern look and feel. The knife was sharp. I had ordered three different knives off this site for the first time, and this was by far my favorite. I will have to see if this brand makes any other sizes. Just reordered 10. Personalized with Company Initials. With personalization they were still less expensive from BudK than anywhere else. These are absolutely phenomenal knives. Come in gift tins and sharp as can be.........great steel / steal ! Best small pocket knife around. Sturdy, good steel, sharp. You can pay 4 times the price and not get this quality. Given many to my friends and this little beauty quickly became a regular carry.